While there is no doubt doing real estate can be highly profitable, it can also be unforgiving without proper guidance and the right mentor. That’s what today’s guest learned the hard way. Fortunately, that’s a thing of the past now for Brandy Pollack. Brandy is a phenomenal and inspirational wholesaler from Miami, Florida. While his real estate journey has not always been smooth sailing, he’s now getting exceptional results. And while his success can be attributed to several factors, two of the key things that have contributed to his success was getting the right mentors and delegating. 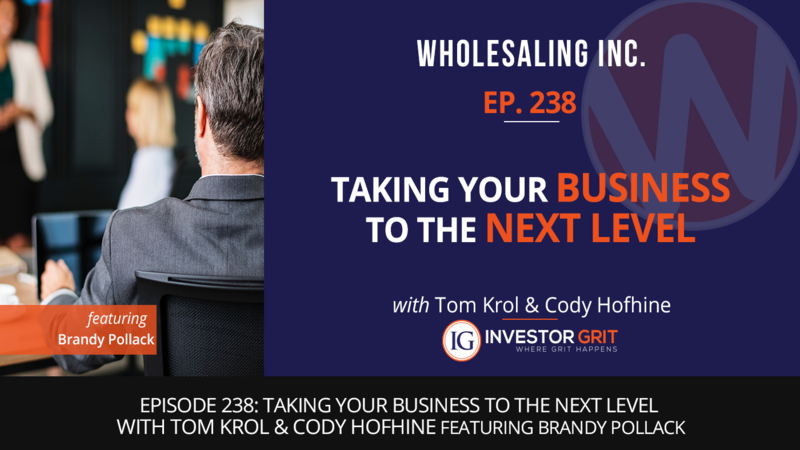 If you are ready to take your wholesaling business to the next level, you can’t afford to miss today’s episode. Brandy gets candid about his journey, the challenges he encountered and how he overcame them, and the things that have made a world of difference in his business. So many gold nuggets, wisdom, inspiration, and tips in today’s episode, you better have a pen and paper handy!